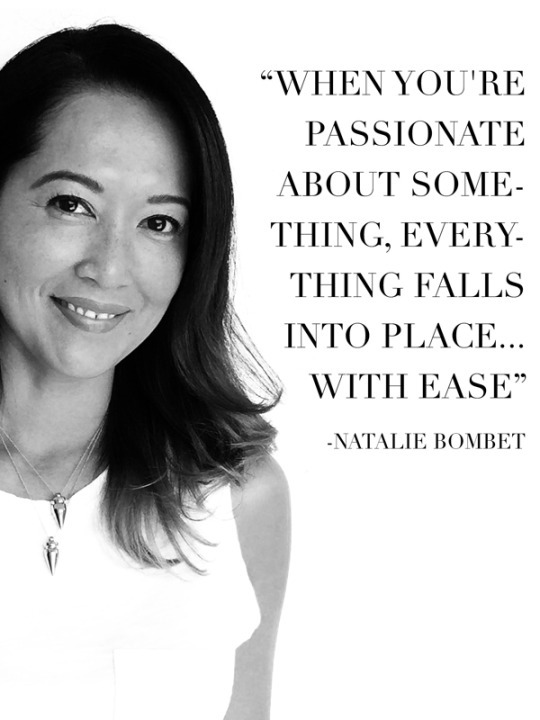 Meet Natalie Bombet, one of our fabulous AMBASSADORS. She’s learned to balance motherhood and her work life; in the process, she discovered a global network of like-minded women. Learn more about what being an ambassador means to Natalie and how she has incorporated the Beautifully Balanced philosophy into her life. I had not worked in a corporate job for about 6 years and did some consulting work here and there. I wanted to ease my way back into something more substantial since the kids are now in school full time. When Erin approached me about ASH + AMES, I LOVED everything about the company but I didn’t feel like I was the “sales” type. Weeks passed and I still couldn’t get the company out of my head. I decided to jump on board, with Erin as my partner, and haven’t looked back since. I’ve discovered that when you’re passionate about something, everything falls into place…with ease. Sharing my passion for both the jewelry and the faces behind them made my launch with ASH + AMES a natural move. What passions are you bringing into this next chapter? The more I learn about ASH + AMES, the more passion I have for the company. From learning about how two great friends can start a company that shows so much compassion to women in the world to getting to know and supporting the artisans like they are my own girlfriends brings on such a great feeling of empowerment. I would like to continue that feeling of empowerment by passing on opportunities to other women, allowing them to gain or even regain their independence through the creation of their own business with ASH + AMES. It doesn’t matter what socio economic class a women comes from, it’s so important for all of us to have our own independence. What about ASH + AMES resonates with you the most? There are so many things that ASH + AMES resonates with me but what stands out the most is the fact that when a customer purchases a piece of jewelry from us, they are supporting one woman, a family or possibly even a whole community. What do you hope to achieve via your ASH + AMES business? In the short few months that I’ve started with ASH + AMES, I’ve already made a network of like-minded women, created new friends and gained the confidence that I can balance both motherhood and work life. My hope is to expand my network and eventually be able help more women achieve the confidence and passion that I’ve been able to obtain through working with ASH + AMES. Of all the questions, this is the most difficult. The jewelry is so beautiful and every piece has a special meaning behind. My favorite piece is the Haitian Leather Knot Bracelet. It is simple, beautiful, easy to wear, soft and most of all supports the strong community of Haitian female artisans. What does beautifully balanced mean to you? Beautifully balanced perfectly describes someone who is confident with how they look on the outside but feels at peace on the inside by doing great things for others. That is how I would describe the ASH + AMES woman.